One important piece of the Apple Maps puzzle is about to fall in place at next month’s WWDC as Apple readies to announce the Transit feature within Apple Maps in iOS 9, 9to5Mac reported this morning. The same publication ran a scoop last year reporting that the Transit feature would launch as part of the iOS 8 software update, but the rumor didn’t pan out. 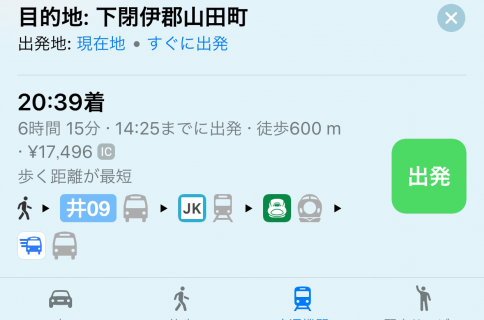 “Having originally planned to add a new transit directions feature to Maps last year, only to pull the feature before WWDC 2014, Apple now hopes to launch its Transit service with iOS 9,” the report, based on “sources,” reads. 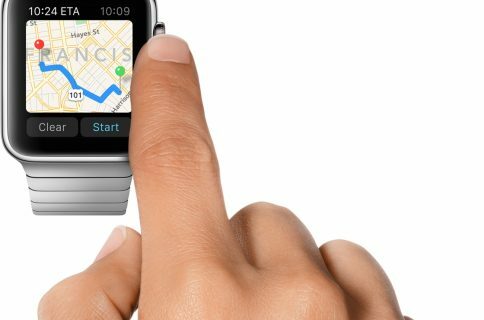 The Cupertino firm is reportedly planning on adding transit directions for bus, subway and train route navigation. A mockup of the Transit user interface within Apple Maps can be seen below. 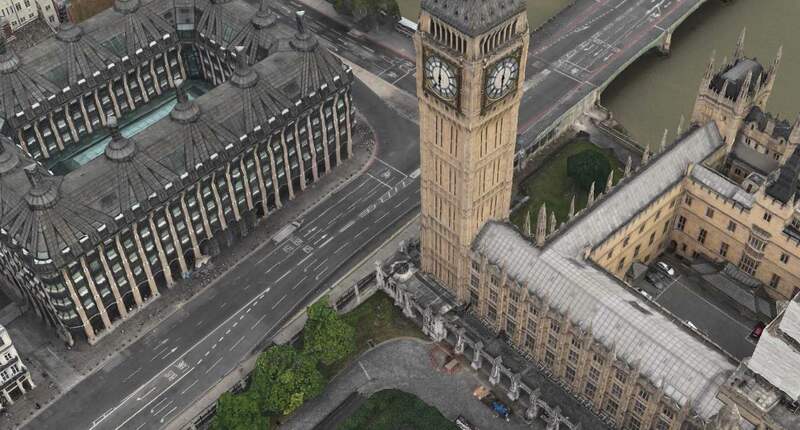 A new Transit layer will join the existing Standard, Hybrid, Satellite and Flyover views within the Apple Maps application. Moreover, a new push notifications system is in the works to notify users as new cities gain Transit support. Currently, Apple Maps provide a list of App Store apps for transit functionality. Having this feature baked into Apple Maps across Mac, iPhone, iPod touch and iPad devices would increase the value proposition of Apple’s mapping service while improving its integration. According to author Mark Gurman, Transit features within Apple Maps will sport larger icons for airports, subway stations and train stations. 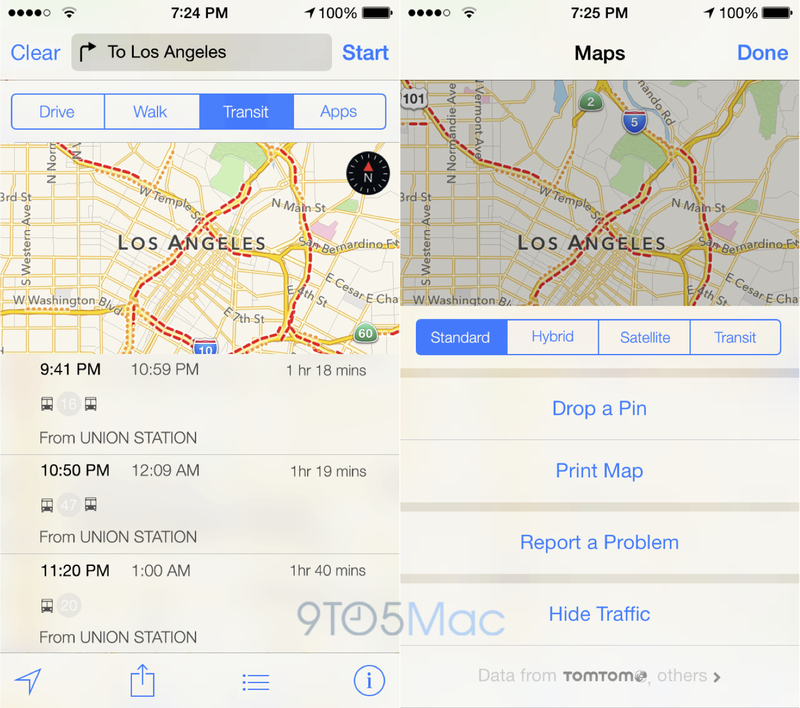 Apple is also working on a trip planning feature for transit. Lastly, the company is reportedly mapping out its own offices in Cupertino as part of a bigger effort to provide indoor maps in Apple Maps to help folks navigate major buildings, offices and landmarks. “The company has let loose autonomous robots with iBeacon sensors, similar to size to iRobot’s Roomba vacuum cleaners, to collect data for its indoor mapping project,” the report reads. Don’t confuse these robots with vans that have been spotted cruising major U.S. cities, likely to capture high-resolution street-level images, most likely for a Google Street View like feature in Apple Maps.